Thought the government shutdown wouldn't hurt your hunting plans? Think again. According to the Idaho State Journal, the U.S. Fish and Wildlife Service has suspended operations after the federal government officially shut down Tuesday. The suspension effectively closes all 561 National Wildlife Refuges to tourists, hunters and anglers, and bars any hunting activities on public land. This is especially bad news for waterfowlers already constricted by land access, and the news is compounded with duck season either under way or starting soon. 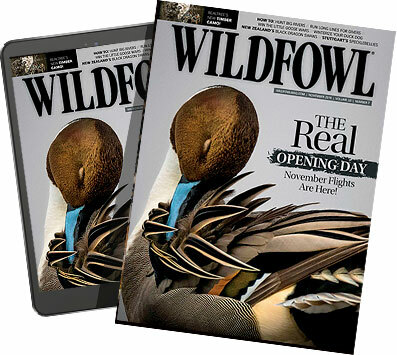 "In these times of ever-dwindling access, losing any public ground opportunity due to political infighting is painful, especially since it is largely hunter's dollars that fund so much of this habitat management through the federal duck stamp program and monies from the Pittman-Robertson act, among many other programs," says WILDFOWL Editor Skip Knowles. "As citizens, hunters and conservationists, we pay our taxes, pay the $15 for a federal duck stamp, which goes to preserve the 561 refuges that are currently closed, and do as much as we can to respect the resource," said WILDFOWL Associate Editor Joe Genzel. "Duck hunters have held up their side of the bargain, and it's time for Washington to do the same." National parks and nearly all national forests have also been closed by the shutdown, but all other federal lands are open to hunting and fishing in accordance with federal and state game laws. To find out more on which areas near you are closed, contact your local game and fish department.